Alex Davison will return to the Supercars grid at the Coates Hire Ipswich SuperSprint as part of efforts to secure a Pirtek Enduro Cup drive later this year. Davison, 37, has inked a deal to steer Lucas Dumbrell Motorsport’s #3 Holden at this weekend’s Queensland Raceway event. It will mark Davison’s first Supercars race since a substitute outing with Erebus Motorsport at the 2015 season finale in Sydney. Despite his Supercars experience and ongoing success in the Porsche Carrera Cup, Davison missed out on a co-drive last year and was in danger of again being on the sidelines in 2017. His introduction to LDM came through fellow Carrera Cup competitor Cameron McConville, who raced the #3 Commodore alongside his Porsche duties in Darwin last month. Aaren Russell subsequently took over the seat for Townsville as part of a three-event deal that also includes Bathurst and Newcastle. 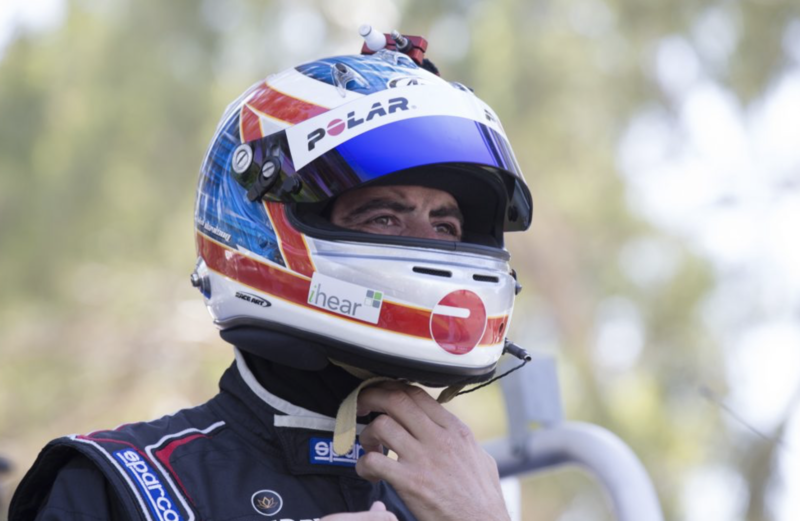 While Davison’s deal for the Pirtek Enduro Cup has not been finalised, Ipswich will give the Gold Coast-based driver a chance to reacquaint himself with the category. “I approached the team through Cam about the enduros but when the opportunity came up to drive this weekend I thought, why not?” Davison told Supercars.com. “I love driving racing cars and I feel like I’ve got nothing to lose. “I’ve had limited preparation obviously and I’m going in with realistic expectations because I know how competitive the category is. “Rolling up at the last minute with no preparation you’re not going to put it in the top 10, but it’s probably a good thing because it means there’s no pressure. “I’ll just drive as hard as I can, try to make the most of it and see where we end up. Davison enjoyed a run of 12-straight Supercars enduro campaigns between 2004-2015, including his five full-time seasons. Scoring a best Bathurst finish of fourth alongside brother Will in 2014, Alex says that lowly results in an uncompetitive Mercedes a year later likely hurt his co-driving stocks. “I’ve spent a lot of time thinking about it,” he said when asked of his struggle to secure an enduro seat. “Not having a drive last year certainly impacted my ability to get a drive this year and the way I look at it missing out on another year would make it very, very difficult. “That’s why I’ve been so keen to get into a seat this year. It has been frustrating being on the sidelines, particularly sitting out last year. “Back at Erebus driving with Will I think I did a very good in a car that wasn’t a front-running car at the time. I think that’s part of the reason (for being overlooked since). Davison did confirm, however, that he had been short-listed for the vacant co-drive alongside Shane van Gisbergen for 2017 that eventually went to Matt Campbell. “It was discussed, Roland (Dane, Triple Eight owner) spoke to me about it, but I understood that I was second in the queue,” said Davison. Davison will meet the LDM crew for the first time at Queensland Raceway tomorrow before opening practice on Friday.